An exhibition of paintings by Andrew Walton and poems by David Attwooll, presented by Jenny Blyth Fine Art at Art Jericho, 6 King Street, Oxford, OX2 6DF from 23 January until 23 February 2014. 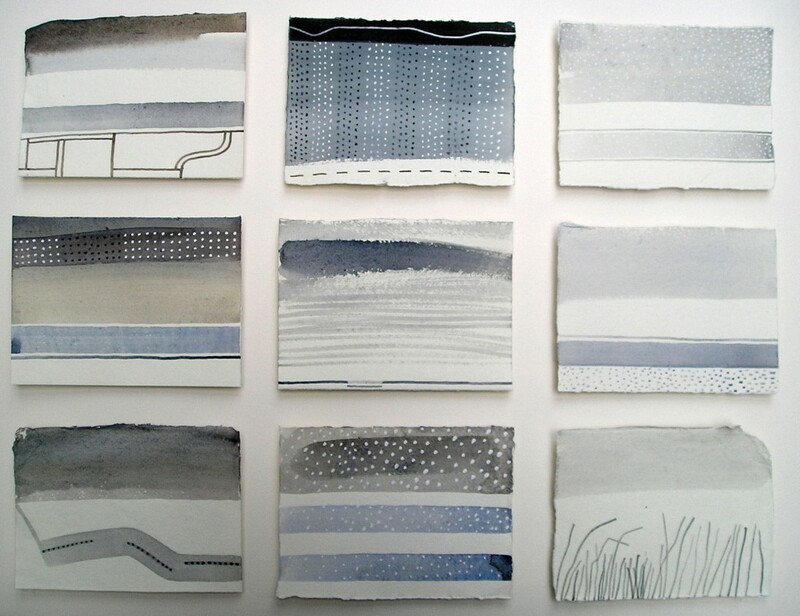 GROUND WORK is the product of twelve monthly walks through the course of a year on Port Meadow and Wolvercote Common, an area of uncultivated floodplain that lies between the city of Oxford and the Thames. 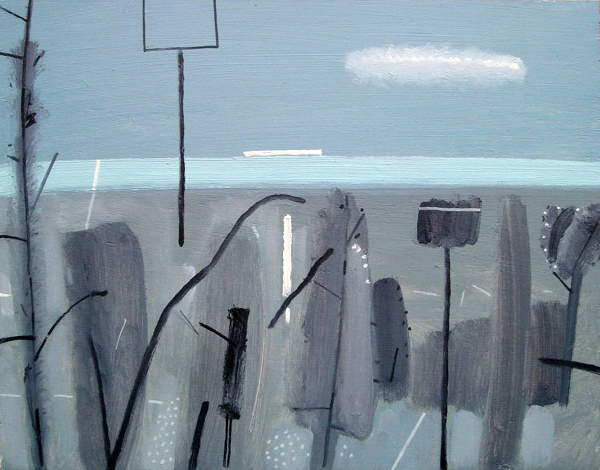 Andrew Walton has been painting for forty years. 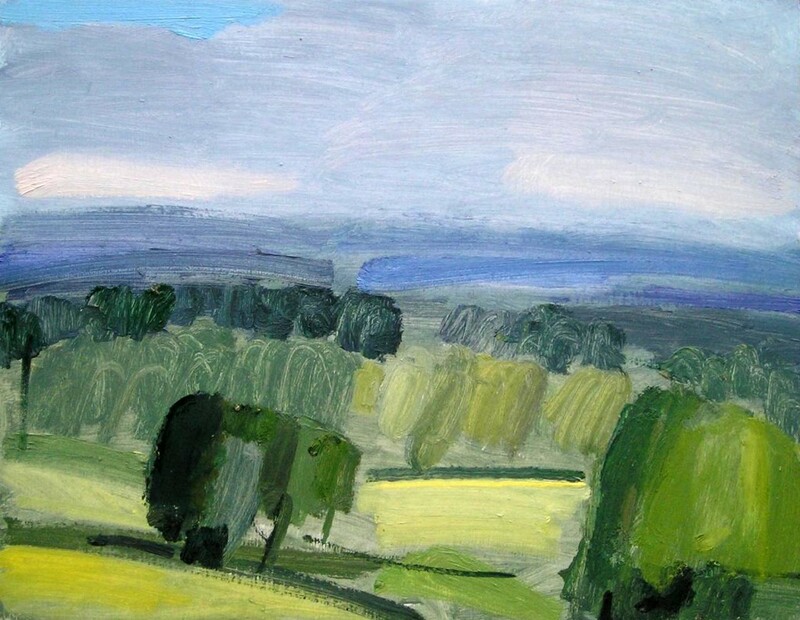 His passion is landscape, particularly the landscape of the Thames Valley and Oxford’s edgelands. Walton has developed a language of painting that hovers between abstraction and figuration, capturing the beauty of the landscape that inspires him. He has strong form and a sublime sense of colour. Paring down the complexities of the scene before him is his strength. Working en plein air, he may or may not choose to ‘fine tune’ in the studio. He speaks of fusing the seen, known, remembered… even sounds and smells. Walton loves jazz, and at times his mastery of abstraction imparts a sense of musicality and synesthesia to his paintings where soft tones and playfulness abound. David Attwooll’s poems have been published in several magazines and in Carcanet’s Oxford Poets Anthology 2013. He was a winner of the 2013 Poetry Business Competition, and his pamphlet Surfacing is published by Smith/Doorstop. He works in publishing and plays drums in a street band. Please also see these earlier posts – Port Meadow and Half Way. This entry was posted in Art, Poetry, Walks and tagged Andrew Walton, David Attwooll, Jenny Blyth Fine Art, Oxford, Port Meadow. Bookmark the permalink.